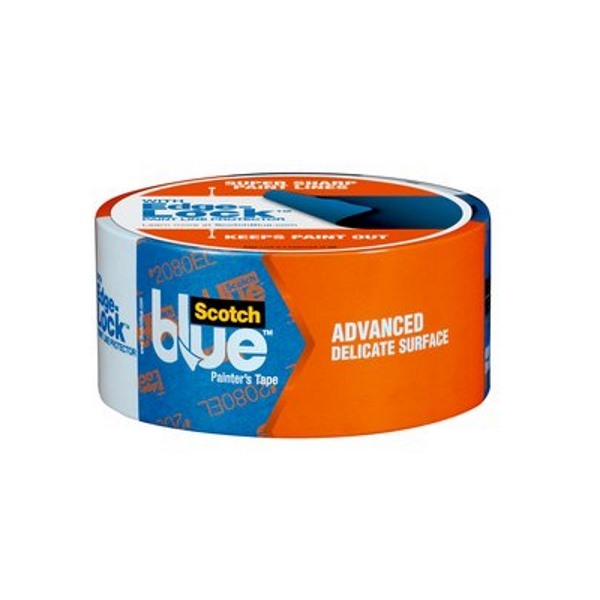 Safe-release painter's tape for smooth, delicate surfaces removes cleanly and easily for up to 60 days. Improved design produces super-sharp paint lines. Great for freshly painted surfaces, wallpaper, wood, and wallboard. 60-yard rolls are available in four widths. This popular painter’s tape has been improved to produce very sharp paint lines on smooth surfaces such as wood floors and glass. It can be removed without leaving residue or causing surface damage for up to 60 days–even in direct sunlight. Comes in ¾", 1", 1½", and 2" widths, in 60-yard rolls. Great for freshly painted surfaces (24 hours old) and other delicate surfaces. Leaves no residue.